It was July and although the monsoon was delayed, it was slowly catching up. 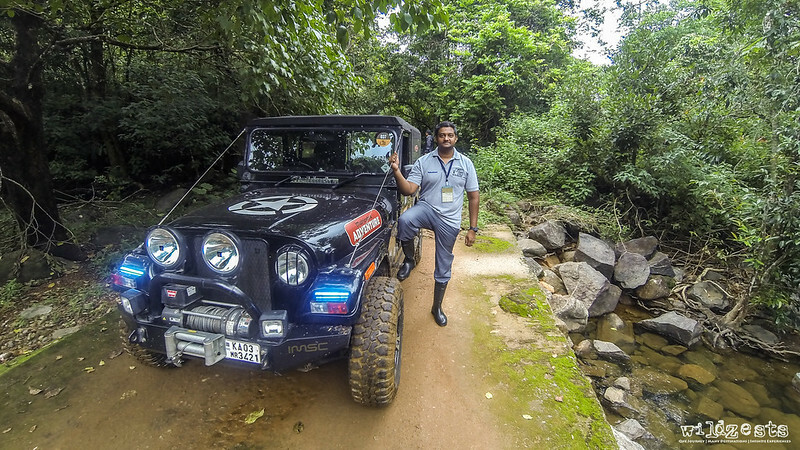 The Wayanad Monsoon OTR event was announced and having missed it last year, I wasn't going to let this one go easily. Anish had been wanting to accompany me for an OTR and he was eager to fly down from Mumbai for this one. Ramesh had confirmed his entry too, so it was going to be the three of us, the more the merrier. 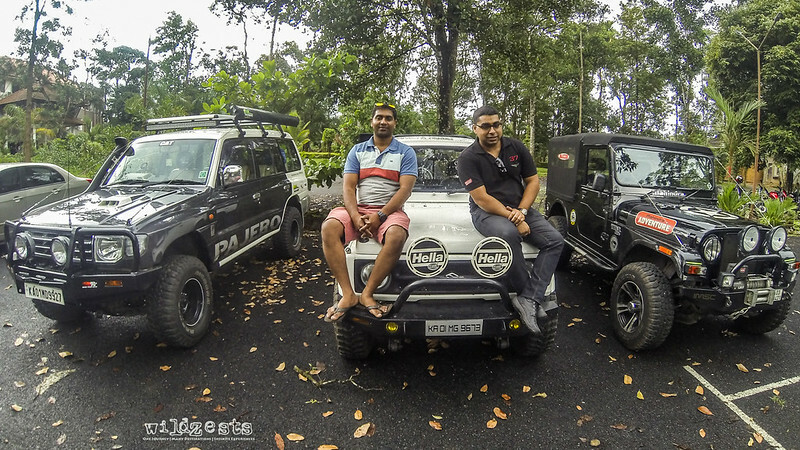 We were accompanied with Santy's Pajero and Pradeep's Gypsy from the JoB group. When the day arrived, it was like preparing for the first day of school. We were out on the road on time and comfortably cruising on the highway doing good speeds. 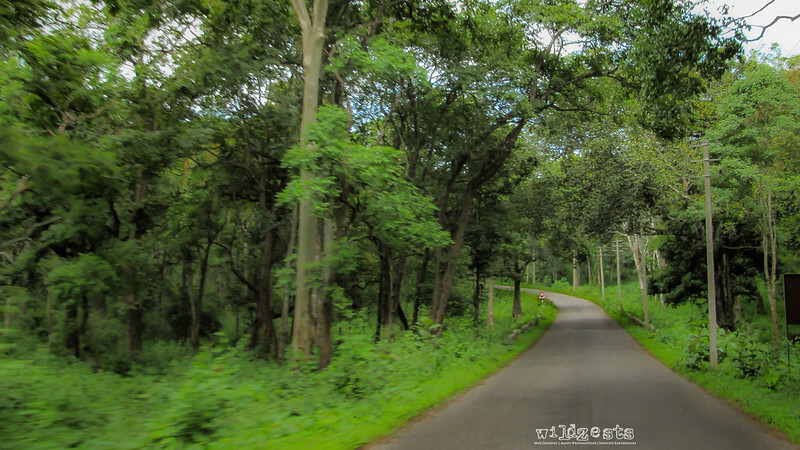 Vythiri can be accessed either from Mysore-Gundlupet-SultanBathery-Vythiri or Mysore-Kabini-Mananthvady-Vythiri. 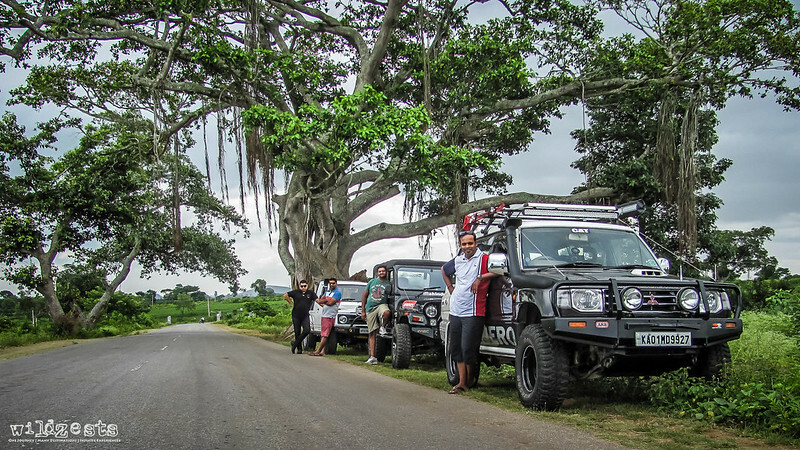 We chose the latter route since that would give us a chance to go through Kabini even if it meant just transiting. The monsoon feel in the jungle is just awesome and I'd anyday prefer Kabini in the rains over the dry forest cover in the summers. After a good lunch at a mess in Vythiri, we proceeded to reach the Vythiri Resorts and finished the registration process etc. Evening was at leisure, catching up with a lot of other folks who had come down from various places in their 4x4s. The Vythiri Resorts property was really good and kind of justified the high participation fees for the event. Next day morning, post the flag off we were on our way to the trail. There were a good 70-80 vehicles participating in the event, Jeeps, Gypsies, SUVs et al. It took about 3 hours for the trail to be completed, even though there were no major breakdowns to be attended. 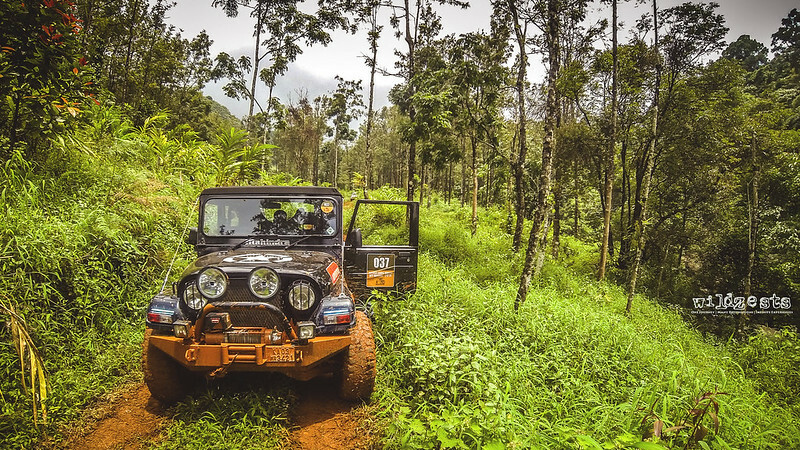 It was a beautifully designed trail with some really long inclines and deep slush pits, it was all we expected from a monsoon trail. The only grouse was that it seemed to have gotten over too soon, but soon we got to know why. When we exited the trail, we figured that there were supposed to be another trail which was canceled out due to some last minute issues. The trail we did couldn't have accommodated all the vehicles and hence half the guys were made to wait at the entry point and they began their drive only post 2PM. But as fate would have it, they were rewarded aptly for all the waiting they did. It was about 3.30PM when it started raining and that made the trail even more challenging. The O-team had anticipated the spots where recovery would be needed, especially for the long wheel base SUVs and there were tractor winches and JCBs planted at those spots. 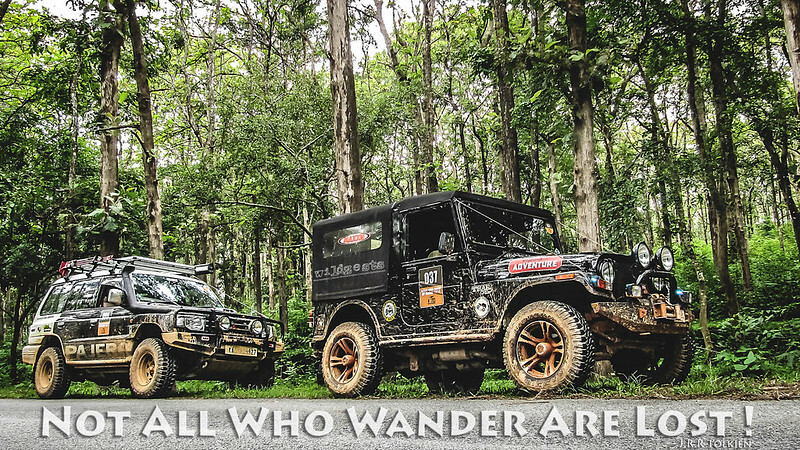 Overall, it was a brilliant trail and we were content with what we experienced, although deep down I wished that the second trail shouldn't have been canceled. There was a nice celebration dinner arranged at the resort with an open bar and a group drumming event. Next day it was going to be the competition event arranged at one of the open grounds with a man-made track. It was a timed event which meant that you had to throw the vehicle around quite a bit to be quick. The obstacles weren't too tough, but its the time pressure that kills you in this format and risk of breakage goes up. I'm not too worried about the competition stuff, because I know I have to preserve my vehicle and avoid any major damage to be able to return back safely. But it's fun to watch such events, especially for the Gypsy guys who make their machines fly. Here's a video of my run at the track. Funny thing about my drive was that I happened to crush some guy's helmet which he had dropped in the first slush pit (watch the first 10 secs carefully). So after we finished the guy walked up to me to let me know that it was his helmet that was in there, looking at the plight of the poor fellow I offered him one of my helmets to keep. The smile on his face was priceless! We wrapped up pretty quickly after our run at the competition track and enjoyed our way back through the forest. I was hoping to make it for one of the evening safaris, but that was not meant to be. 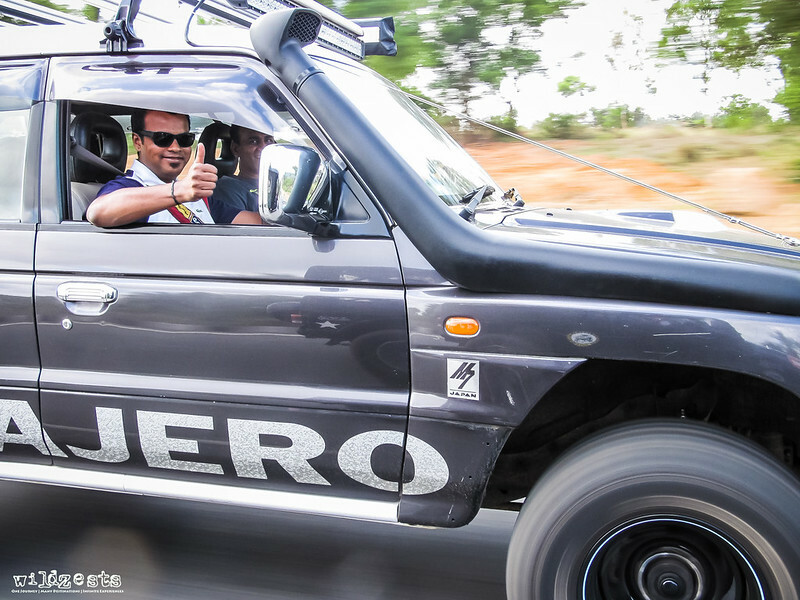 Once we hit the Mysore-Bangalore highway, we were dodging the returning traffic and made it home safely a little closer to midnight.